Welcome to the blog of Catherine Gayle, USA Today bestselling author of Contemporary and Regency Romance. 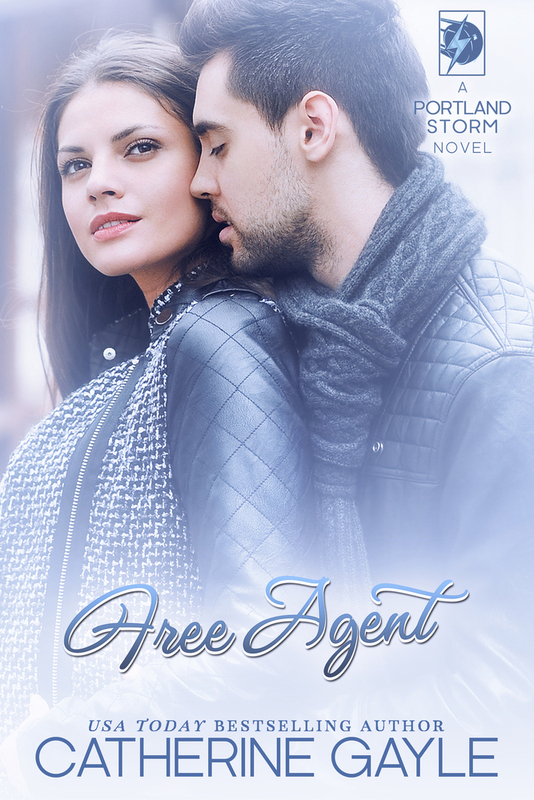 Free Agent is out now! Can you fall in love when you’ve never loved yourself? Universally misjudged, Blake Kozlow doesn’t let society get under his skin. After all, those misunderstandings have never affected his career. As a center for the Portland Storm, he’s lived his life as a Free Agent—particularly with women. But when he meets a gorgeous, curvy special education teacher, Blake realizes he’s finally met the one person who truly understands him. Beatriz Castillo knows exactly what she wants—to teach her students that nothing can hold them back. A few years ago, her health was spiraling out of control, but Bea took her life back. Now, she uses her vivacious personality to prove to everyone, especially her students, that anything is possible. Perpetually impulsive and spontaneous, Blake turns on the charm. But Bea’s unprepared to be on the receiving end of such brazen attention. As they grow closer and their attraction intensifies, their inner demons threaten everything. They’ve both always lived on the fringes of life. But moving forward will require Bea and Blake to step into the spotlight—together.